McDonalds' Japanese branch has updated their website with details of their upcoming Transformers Go! Happy Meal (called Happy Set in Japan) promotion. The promotion we assume is running under the Transformers Go! banner as that is the current incarnation of the Transformers Prime series in Japan, but these promo toys are very much Transformers Prime based. There's four versions - the first two, released on 21 June 2013, feature Optimus Prime with sword slash action and Megatron with missile shooting action. On 28 June 2013 Bumblebee with punching action and Bulkhead with missile shooting action will also be released. Check out some small pictures of all four promotional toys attached to this post. Transformers Generations TG-26 Goldbug - Japan release of Hasbro IDW Deluxe Bumblebee, gold shiny finish and blue head! TG-28 is a four pack of Legends Class Megatron with Chop Shop and Starscream with Waspinator. Due in December. TG-23 Metroplex will feature a chrome face. In his battlestation mode, the large ramps will be left white, like the Generation 1 version. G19 Hunter Ratchet will be green, like Movie series Ratchet. Giftsets of the Go! Samurai and Shinobi (formerly ninja) teams will be released in October. They will only be giftpacks - not redecoed. The Samurai team will also get Bot Shots toys of a fashion in the BeCool line. Dragotron Final Form - Japanese release of Beast Hunters Ultimate Predaking. Will feature a red deco resembling Beast Wars Transmetal II Dragon Megatron. See picture at left, taken from @gadepon's Twitter feed. 2005 Boards member xe07 has kindly shared with us a nice look at Beast Hunters Sharkticon Megatron. A few key things to note on this one is that there seems to have been a miscommunication between the packaging guys and the ones writing the instructions - while the packaging calls him Megatron and has him wielding the awesomely named Tartarex Warp Sword, the story chapter and instructions refer to Megatron as Sharkticon Megatron, and his weapon as the Sharktooth Spear. In addition Megatron features a new faction sigil shown only on the toy, packaging and instructions use the vanilla Decepticon logo. 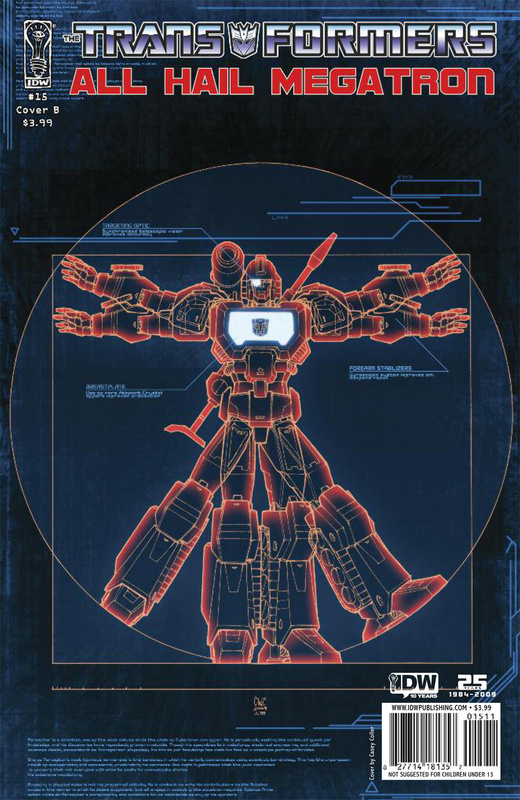 The instructions do reveal two new bits of information to us - the black redeco of Beast Hunters Bumblebee will be named Night Shadow Bumblebee, and more importantly, the sequel to the Transformers Exiles novel will be Transformers Retribution, coming in Fall 2013! Due to limited quantities, it will be a reservation lottery. Obtain reservation/entry on the 17th (Monday) and 18th June (Tuesday), from 10am each day. Limit one reservation per person. If there are less reservations placed than toys, everyone gets one. If there are more reservations than toys, it comes down to a random lottery. Winners will then be contacted by the email they provided on the reservation. Toys will then be shipped out late June. Price 6,000 yen (about $64) - Cash on delivery only. It is worth noting that a portion of Tiger Track may be held back from this drawing, given the numbers already being offered through online retailers and the fact that in-hand pictures are circulating. Transforms from robot into a Lamborghini Countach LP500S. A cool-headed hunter, who is good at fighting without being detected by the enemy, and is held in high regard by his commander, Convoy. Includes gun and missile launcher, plus black version pile drivers. Takara-tomy have uploaded a trailer for Transformers Go! on to their Youtube channel. The preview shows a brief clip of Kenzan racing into action and transforming - in Feudal Japan, no less! The clip demonstrates that the animation will be a hybrid of styles, combining cel animation with CG robots, and combining the detailed Japanese stock transformation style with the on-the-fly style used in Transformers Prime. Also of interest is that there are some brief snippets of character bio (in Japanese). The combined modes are named GouKenzan, GouJinbu and GouGanoh based on which one out of Kenzan, Jinbu and Ganoh forms the upper body. In the footage Jinbu can also be heard describing himself as possessing advanced speed or agility, and Ganoh boasts that his power is "number one". Although not confirmed in the video, this fan would expect that these attributes carry over to the respective combined forms. Check out the video clip below - and it might also be worth noting that there will also apparently be a McDonalds Happy Meal special DVD. "DON'T LET THEM TAKE SKIDS!" The crew of the Lost Light left CYBERTRON before they could hear those words-part of a message from the future warning of terror and catastrophe and a threat to the entire Cybertronian race. Can the AUTOBOTS do anything to stop the beginning of the end? Ships with 2 covers in a 1-to-1 ratio, 1 by Alex Milne and 1 by Sean Chen. MEGATRON'S DESCENT! In the early days of the war on CYBERTRON, OPTIMUS PRIME puts everything on the line to unify the planet-but not everyone agrees that this new Prime should be in charge! Meanwhile, the fallen DECEPTION leader, MEGATRON, begins a journey that will change everything. Plus-what is the terrible secret of the DINOBOTS? Planet Iacon on Facebook has shared some news via the Tokyo Toy Show, which is currently being held. Check out two images of upcoming Masterpiece figures. One, is of MP-17 Prowl and the other is of last night's reveal of Masterpiece 19, Smokescreen! Check out the new images by clicking the title bar. Keep it here on TFW for more news items from the Tokyo Toy Show! Additionally, Prowl and Comicbookmovie.com have both posted still photos for us to enjoy as well. You can discuss the Comicbookmovie.com photos in this thread, or click the title bar to discuss Prowl's video and photos. Over the course of the last week, 3rd party group Keith's Fantasy Club has been dropping teasers for a new upcoming project. First, a teaser was shown homaging IDW's All Hail Megatron Coda. A few days later, a render of their 3rd party Perceptor was shown and this evening, we have five images of the actual prototype of this new figure. This figure is a homage to IDW's Perceptor, complete with "targeting monocle" and sniper rifle. Although no pictures of the alternate modes just yet, this figure will have three modes including robot, tank and microscope. The first teaser also hints that this will be just the first release and use of the mold, an "Akuma" and "The Surgeon" reuses are planned. The prototype in this picture is also shown in comparison with Generations Sergeant Kup. The figure is scheduled for an August 2013 release. Click on the title bar to check out all the images. A fire broke out on the Texas set of "Transformers 4"... causing major damage to a 100-year-old home... and officials believe it may have been caused by movie pyrotechnics. A rep for the Pflugerville Fire Department tells us ... the fire started in the attic ... but emergency responders sprung into action and were able to extinguish the blaze before it had a chance to damage the rest of the home. Unfortunately, the FD says the attic suffered "substantial damage." The rep says, "There was one injury to a civilian who was transported to the hospital by Austin Travis County EMS. We have no other information on this person or their injury." We're told... officials believe burning embers from pyrotechnics may have caused the blaze, but they're not sure at this point. Hopefully this will be the only accident and injury for the remainder of the filming! Click on the title bar to discuss! Another set who are evidently now out in Japan, Generations Legends Wave 4 features two packs of Megatron with Chop Shop and Starscream with Waspinator. Some in-hand images of both toys have been posted on HK-TF by zeroeo. Pleasingly, Megatron features head articulation, a rarity in this size class, although less pleasingly the grey plastic on his arms does not blend in particularly well with that on his legs, which is most evident in tank mode. However both Megatron and Starscream (plus their Targetmaster style partners Chop Shop and Waspinator) do look like awesome little toys. Check out the pics at the link above. The backer cards have less yellow on them. This is particularly evident on Optimus Prime's card above where it says Autobots. Optimus Prime appears to feature darker colored plastics. Jazz also sports darker plastic, particularly on his blue. The most clearly obvious one, though, is that Jazz now features a painted blue visor. Given these two, and Shockwave, are shipping again with Wave 4 to balance out the plastic weight of the wave, these variants at least take a little of the sting out of the first wave toys being made available once again. Check out the images, courtesy of Hobbybase's Facebook page. E-Hobby have posted clear, official images of the next Takara-Tomy Generations release, TG-25 Orion Pax VS Megatronus. Yes, Megatronus not Megatron! This will be the first time that Megatron has officially had a toy bearing the name of his "pre-Megatron" name that he took from the fallen member of the original 13 Transformers. As for the toys themselves, as is par for the course with Takara-Tomy Transformers Generations releases, each one sports a metallic finish. Orion Pax looks very bold in the metallic red and the deep, primary blue, while Megatronus seems to have a metallic effect on the black, and also features lots of nice purple panel line detailing. Check out the images at the link above, or attached to this story. TF Yuki has once again hit us with a new picture on Twitter showcasing some upcoming Takara Generations love! This time, it's the big guy himself, Metroplex! This is our first clear look at what the Takara version of this figure will look like and we can see from the picture that he will have many new paint applications and the extra gun. Previously rumored, but missing from the pic, is chrome on the figures legs. This may not mean the figure won't still include chrome, but that this figure isn't finished just yet. What do you think? Will you be importing this figure? Hit the title bar to discuss! Meteor Operation on Facebook has posted an extensive gallery of the upcoming fourth wave of Generations Deluxe figures, the Wreckers! Along with Shockwave, Jazz and Optimus Prime this wave includes remolds of the Generations Fall of Cybertron Combaticons as the fan-favorite Autobot team, the Wreckers. Impactor, Roadbuster, Whirl, Topspin and Twin Twist are all shown here in robot mode, vehicle mode and in their combined form of Ruination. Ready to Wreck N Rule? Sound off on the 2005 Boards! Michael Bay Official Website has revealed yet another vehicle for Transformers 4. This time it's a Sonic RS from Chevrolet. There is no more info about the vehicle, leaving fans to guess whether it's "An Autobot? A Decepticon? Jack Reynor"s Racing Car? or Something else entirely?". Planet Iacon on Facebook has updated with new images of the recently revealed Masterpiece 19 figure, Smokescreen. Just as he was in G1, Smokescreen will be a remold of Masterpiece 17 Prowl and will feature several new pieces including; the head, front hood and bumper, shoulder blasters and more. Shown in these new clear images are comparison pics with MP-10, vehicle and robot mode pics and group shots with the other two figures that share this mold, Prowl and Bluestreak. We've mirrored the images for you to check out. Just click on the title bar to check em out. 2005 Boards Member tonyformer is bringing us some cool info and images from the Transformers 4 Set in Detroit. According to our member, Detroit is not actually Detroit in the movie; it will be standing-in for China itself. Clearly, it can be seen thanks to the images provided, which clearly identify buildings with Chinese architectural influence. "I was told that the set will indeed sub as "Somewhere" in China. She did not or would not give me an exact city name. She did however say that the set will be comprised of around 6 to 7 standing structures that will be of an older Chinese design and around 4 or 5 destroyed buildings that will have crushed in walls and so on. There will be piles of debris and this set will be part of a "Major" battle scene. I asked her if she could elaborate any and was told that there would be "many" Transformers "good and bad" involved as well as humans fighting. She also said that there would be a few particularly "larger" Transformers that will crash through buildings while fighting each other. I asked her if that meant like large human looking Transformers or more animal looking and she said, "All I can say it maybe both" with a smile. So with that being asked, I asked her if she could tell me anything else and all she would tell me is this movie will blow all the others out of the water and will be darker than the last. And then said this particular set will be filmed on in July." This description may very well be a confirmation of a certain rumor we've heard before. Check out more info and images at the thread associated with this news post. Open the link above or view the images attached to this story for the full list of events and panels. Site sponsor Robot Kingdom has also updated their page for the Generations Legends Wave 4 with in package images of the new additions in the assortment, Megatron with Chop Shop and Starscream with Waspinator, giving the first non-photoshopped looks at the toys. Pleasingly, Starscream's bio references the time that he and Waspinator encountered each other, in the classic Beast Wars episode Possession. Check out the images attached to this post.